As you’d expect, there are conveyancing fees, but we’ll always offer you a fixed fee quote upfront to help you budget. After that, we work extremely hard to ensure you’re always getting maximum value for money from start to finish. You can get a conveyancing quote quickly, through our website or by calling us directly. As well as offering fixed costs we also offer a no completion, no fee service. So, if for some reason your purchase falls through, you won’t have to pay for our service only third party disbursements. What’s the difference between conveyancing and surveying? The two get very mixed up – we have broken down the difference between conveyancing & surveying for you, in a non-complicated way! Conveyancing is the process of legally transferring ownership of a property from one person, couple or group, to another, including the transferral of fees. It involves aspects that relate to the land a property is built upon such as the boundaries and can include checking factors such as the chances of the property suffering from flooding or subsidence, or whether there are new buildings planned in the area. Surveying relates to the structure of a property itself. A surveyor will look at a house, flat and any outbuildings you’re buying to check that it’s as good as it looks from the outside. Unless the Building Insurance is being arranged by your lender or it is a leasehold property and the insurance is dealt with by the Lease administrator, you must arrange Buildings Insurance from exchange of contracts as the property will be at your risk from that time. You will need to provide us with a copy of your Insurance prior to exchange of contracts. How do I find a surveyor for the property I’m buying? If you’re buying with a mortgage it’s likely that your mortgage provider will recommend finding a surveyor, otherwise you can easily find a surveyor who’s based close to the property. We do have contacts with local and national surveyors and we would be more than happy to point you in the right direction. When should I instruct a conveyancer? You need to begin instructing a conveyancer as soon as you decide you’re going to buy or sell – there’s no need to wait until you’ve found a buyer for your home or a home you’d like to buy. So if you’re looking to move as soon as possible then get in touch now via the online quotes page, contact us page or by phoning the office – the sooner we get started the sooner you’ll be able to move in to your next home. We can even start work on your file prior to a buying being found so that everything is ready and waiting to go and Contracts can be issued immediately. Stamp Duty, otherwise known as Stamp Duty Land Tax (SDLT) is a tax on the purchase price of land and buildings. It’s charged at different rates for different sale prices. If you are buying a new Lease then you may also have to pay Stamp Duty on the rent, and your lawyer will advise you when they receive the contract paperwork. Please visit the HMRC website to calculate your Stamp Duty. My lender says your firm is not on its conveyancing panel. What does this mean? When buying with the assistance of mortgage finance, it is usual for the conveyancer who acts in the purchase to be instructed by the lender to act for them at the same time. For this to take place the conveyancer acting for the buyer will need to be accepted on the mortgage lender’s conveyancing panel. Fletcher Longstaff Limited has been accepted on the mortage panel of the majority lenders. Usually the same conveyancer acts for both the buyer and the lender, although this is not essential. If we are not on a lenders panel, please do not be concerned as we can still act for you. Do contact us for more information. If you would like any further information on mortgage panels, please don’t hesitate to get in touch. Why should I choose Fletcher Longstaff for my conveyancing? So what sets us apart from the rest, why choose Fletcher Longstaff? Putting it simple, because whether you’re buying, selling, or both, our aim is always to make your conveyancing process as smooth, stress-free and quick as possible without sacrificing on quality of service. We specialise in conveyancing and we give you direct contact so you don’t have to go through a call centre to speak to the person looking after your case. We use technology to help speed up the process as much as possible – we’ll e-mail you documents via Adobe Sign which makes things easier and quicker for you. You can also track your case 24/7 via our new App. You’ll also get fixed fees and the promise of no completion, no fee so you know what to expect from the start. Will I have to visit your offices? No, the days of needing to take time off work to see your lawyer are gone. Rather than visit us each time you need to sign a document, each aspect of the conveyancing process can be done remotely – documents can be scanned and e-mailed or sent in the post – so we do this wherever possible to make things easy for you. You’re welcome to come visit us in person if you’d like – and some of our clients still do – but it’s not a requirement. Do I need a conveyancer that is based locally to me? No, not at all, you don’t need a local conveyancer. Thanks to modern technology you can choose the best conveyancer for you wherever you’re based anywhere in the country. We find that nowadays most people like to contact us through phone or e-mail rather than taking time out to come into our offices so that’s the way we work. Whether you’re buying or selling in Lincoln, Lincolnshire, or anywhere else in England or Wales, we keep you in touch with your case as much as possible and you can phone or e-mail us here whenever you need to. If you’d really like to come and meet us in person that’s fine too – we’re real people who don’t hide behind call centres. How quickly will I be able to move home if I work with you? We would love to say every case can be completed in record time but the truth is that 99 times out of 100 the timescale relies on everyone involved – buyers, sellers, solicitors and mortgage lenders – it’s too complicated for anyone to promise exactly how quickly you can move. What we do promise is that we’ll be open and honest with you at every stage of the process and do everything we can to help you move as quickly as possible.  There are some general rules, such as that leasehold properties are more complicated so take longer than freehold, and the more people that are involved in a buying chain, the longer it can take. We use e-mail and online systems wherever possible to speed up the process and follow up by phone as well. What does it mean when you say costs are fixed and “no completion, no fee”? We pride ourselves in offering a ‘No Completion, No Fee’ service. This means that our fees are what you pay for our time and once we have the details of your case we tell you what it will cost before you start. If your home move ends up taking a little longer you don’t pay extra and if the worst happens and you end up not buying or selling the property you’re intending to, you get these fees back. We’re completely open about our costs – as well as our fees there are other costs involved in conveyancing, including payments for searches, which vary depending on your choices and the property involved. Known as “disbursements”, these are costs that we pay out to other companies, for example to see if there’s a risk of flooding or if the property lies on contaminated land. If we’ve paid for these on your behalf when the sale goes through, these are non-refundable but, if they show up something negative about a property you’re buying it could save you tens of thousands of costs in the long term anyway. Who will act on my behalf? When going through the conveyancing process, it is important to know who acts on your behalf. If you choose Fletcher Longstaff as your conveyancer one of our great conveyancers will oversee all matters for you. Adam Cheal, Astasia Campbell, Andrew Yates and Edward Jones. Your file will be assigned to one of the above team members. You’ll get their direct phone number and e-mail addresses so you can contact them whenever you need to. Once you have instructed us you will be invited to track your case via our new App. We will send you an e-mail so that you can gain access to your file and easily begin tracking your case and communicating with your Conveyancer. If you have any queries on this please contact us. How much experience does Fletcher Longstaff have with Help To Buy and similar schemes? We have had a lot of experience with this scheme and the firm have helped lots of people through the Help To Buy scheme. Whatever makes your case unique, the chances are that we’ve worked on a similar case very recently – if you’d like to talk to us about your conveyancing, drop us a quick message requesting that and we will call you back. How can I contact the person responsible for my case? We like to make contacting us easy! We will give your Conveyancers e-mail address and direct phone line so you don’t have to go through a switchboard. You will also be given details of any relevant assistant that assists your Conveyancer. If for some reason you can’t get hold of your Conveyancer, you can always request a call back, send them an e-mail or pop them a message through our App. How will I be kept up to date with my case? We want to make sure that you are kept up to date as much as possible. We will keep you up to date by e-mail and push notifications through our App if you’d like. We also like keeping you updated with regular contact. You can of course contact us at any time of the working day to ask questions or view you case through our online case tracking facility via our new App. What are your opening hours and are you open at weekends or evenings? Our office opening hours are from 9:00am – 5:00pm, Monday to Friday. Rather than have a call centre to answer questions outside of the standard working hours, we give you direct contact with your Conveyancer via e-mail. So if you’re too busy to call through the day you can e-mail them whenever you like, or ask them to call you at a specific time. What happens if my purchase falls through and what will it cost? Sadly with the house buying process things do sometimes go wrong, and a house purchase falls through. If you’ve instructed us and things fall through, you won’t have to pay our fees. The only costs you’ll face are for those we’ve paid out to other companies for costs such as searches and surveys.